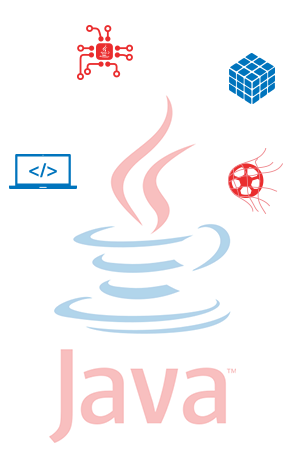 Cut down your operational costs and development time with Java applications from Kaushalam. With over 15 years of experience in Java application development solutions, Kaushalam can deliver high returns on your investment. 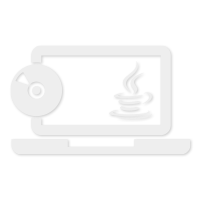 You get Java solution that’s flexible, secure and extensible. You don’t even have to pay through the nose for that. Java’s core value proposition is: write once, run anywhere. You don’t need to waste time coding repeatedly. Java is designed to be network-centric and so it’s easy to use with various resources across the network. Java is a dynamic program that can extend itself by loading the classes it needs to expand functionality. Java always offers the goals that you seek. It runs as fast as native, non-portable C and C++ programs. A solution that facilitates the growth of your business. A solution that’s dynamic and scalable. A solution that’s intuitive and free of bugs. Get solutions that are unrivalled in the industry. They will work seamlessly with the rest of your system. We are very pleased with our development experience with Kaushalam and Akshay Vyas’ team. They assisted us with the development of our new Amazon website. Of all our development projects over the past 10 years, we can say without exception, our experience with them was superior and by far the most pleasant compared to our other development projects. They are very easy to work with, they are very creative, and technically competent. It was a sincere pleasure to work with them and we would recommend them highly. Make the most of the opportunities. We go that extra mile to create a solution that helps you outperform your competitors.